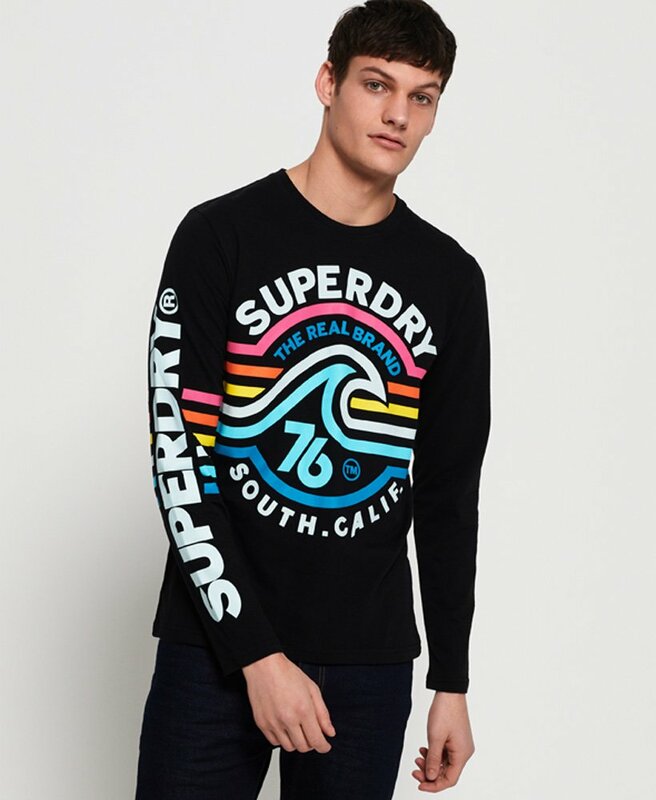 Superdry men's Spectrum mid weight long sleeve t-shirt. A must have update for your wardrobe, this t-shirt features a crew neck and textured graphic on the chest and down one sleeve. Pair with slim jeans and trainers for a casual outfit.